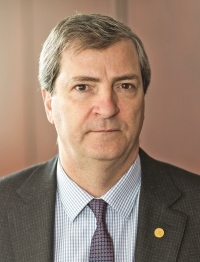 Asked if, and on what basis, it plans to appeal, the judicial council, which oversees the conduct of Canada’s 1,176 federally appointed trial and appellate judges, confirmed Sept. 5 it will be filing “in the coming days” a notice of appeal of the preliminary jurisdictional ruling by Federal Court Justice Simon Noël, whose Aug. 29 decision came in a judicial review proceeding launched by suspended Quebec Superior Court Justice Michel Girouard: Girouard v. A.G. Canada 2018 FC 865. Asked for specifics, the council indicated its outside lawyers were still drafting the notice of appeal, which could be filed as soon as Sept. 7. “The key question, for the CJC, is not whether judges should make the final decisions in respect of recommending the removal of a judge,” Sabourin explained via e-mail. 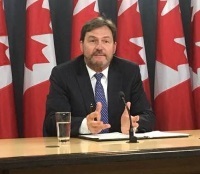 “The question is which judges have this constitutional authority,” he said, alluding to the debate over whether it is the Federal Court and, on appeal, the Federal Court of Appeal and Supreme Court of Canada, which have the last word, or whether it is the council of 39 chief justices of the country’s superior trial and appellate courts which plays that constitutional role. Arguments rejected by Justice Noël included the council’s contention that the CJC is not subject to judicial review by the Federal Court because the Judges Act deems the CJC and its formal inquiry committees to be a superior court (which thus does not qualify as a “board” or” “tribunal” subject to Federal Court review), and that the CJC has its own “robust” internal review mechanism which ensures procedural fairness to judges accused of misconduct. Nor did he accept that judicial review of the CJC’s disciplinary proceedings would interfere with judicial independence. “On the contrary, I am of the view that the possibility of review by a judge only increases judicial independence by preventing interference from the other branches of government. It is the judicial rather than the executive power that is in the forefront of judicial review,” he said. 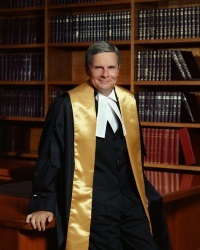 Justice Noël agreed with the CJC that its recommendation to the federal justice minister that a judge should be removed on joint address to Parliament because he or she is unfit for the bench, amounts to “capital punishment” for a judicial career — with possible “devastating” impacts on the judge and his or her family. “It is inconceivable that a single body, with no independent supervision and beyond the reach of all judicial review, may decide a person’s fate on its own,” he held. 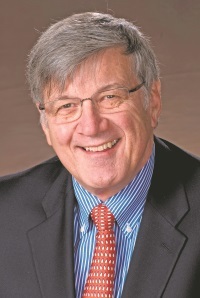 Justice Girouard’s co-counsel, Gérald R. Tremblay of Montreal’s McCarthy Tétrault, told The Lawyer’s Daily by e-mail he did not wish to comment on the judgment, given the current proceedings. Justice Girouard, who has been, in essence, suspended with pay for more than five years, contends that the council behaved unfairly toward him during the course of successive formal inquiries that considered whether he took cocaine as a lawyer and whether he was truthful in denying that allegation. See: “Tremblay sees Girouard matter as having run its course already” from The Lawyers Weekly here. The second inquiry culminated last February in a recommendation from 20 of 23 chief justices to Wilson-Raybould that Justice Girouard should be removed because he lacks the integrity and credibility to keep his post, having misled the council about a suspicious-looking transaction captured on security video that looked like he might have been buying an illegal substance (which the judge has always denied, and which has never been proven). Three chief justices dissented, arguing the discipline case against the judge should be abandoned because he was denied procedural fairness as not all the transcripts and records of the French-language inquiry below, that recommended his removal, were translated into English for the 23 chief justices who made the council’s decision, many of whom do not understand French. Justice Noël’s judgment that the Federal Court does have jurisdiction to judicially review the CJC endorsed, and built on, the 2014 reasoning and ruling on the same issue by Federal Court Justice Richard Mosley. He rejected similar arguments made by the CJC in the judicial discipline case of former Manitoba Queen’s Bench Family Division Associate Chief Justice Lori Douglas — but an appeal from his decision was discontinued because the case settled. The CJC has argued that in exercising its constitutional responsibility to oversee judicial conduct, it is not interpreting a law of Canada reviewable by the Federal Court, but rather is interpreting a constitutional issue as to whether a judge should be removed from office. 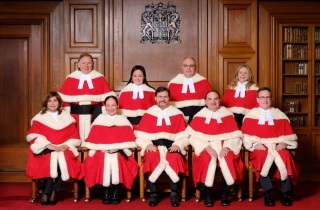 An appeal of the jurisdictional issue will create interesting dynamics at the Federal Court of Appeal (led by Chief Justice Marc Noël, Justice Noël’s brother) and potentially (if it is further appealed) at the Supreme Court of Canada whose bench, in addition to Chief Justice Wagner, includes Tremblay’s spouse, Justice Suzanne Côté (however, none of these judges is expected to sit on the case). Moreover, whether or not Justice Noël’s decision survives as a legal precedent over the long haul, his “comments” section included at the end of his reasons for judgment (paras. 173 to 185), along with the “preliminary remarks” he made orally in open court just before the lawyers started to argue the jurisdictional issue in Montreal last June, will likely remain of interest to court watchers and law students for the criticism the trial judge directed at the CJC and its senior leadership, as well as at The Lawyer’s Daily. 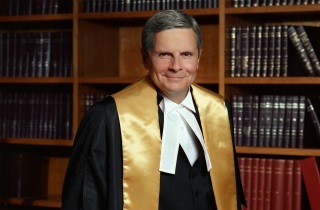 Justice Noël criticized the CJC for failing to take “a good opportunity,” in his view, to bring the issue of the Federal Court’s jurisdiction closer to resolution in 2014 when it withdrew its appeal as part of settling the Douglas case — a move the council has said saved taxpayer money at the time. Justice Noël also chastised what he saw as the attitude of disrespect the CJC showed toward the Federal Court and the parties to the judicial review (i.e. Justice Girouard and the Attorney General of Canada). The judge’s anger was not assuaged by the fact that the CJC’s counsel, Ronald Caza of Ottawa’s CazaSaikaley, subsequently wrote to the Federal Court’s administrator explaining the CJC’s position and citing a rule of the Federal Court. “It is easy to interpret a rule literally as a basis for justifying conduct, but when the party doing this is made up of chief justices, there are grounds for concern,” Justice Noël emphasized. “There is more,” he said. He pointed out the CJC’s record was filed late and he granted counsel an extension of time to file. He went on to state that “within 24 hours” of the CJC’s filing, The Lawyer’s Daily published a story (see Editors’ Note below), which included an explanation from Sabourin as to why the CJC was going to court to determine the question of the Federal Court’s jurisdiction to review the council’s conduct. Justice Noël was apparently referring to case management orders directed to counsel on the case, that were not flagged for media or public attention on the court’s home page. The judge also found the story incomplete as it was “silent” about the fact that the CJC’s inquiries into the judge’s conduct cumulatively lasted for about five years. 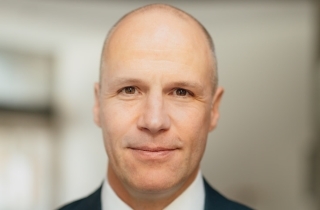 “That is not all,” he continued, referring to a second article in The Lawyer’s Daily, published June 22, 2018, and titled “Chief Justice Wagner calls for judicial discipline reforms as Ottawa drags heels on removing sidelined judge.” The story quoted comments made by the CJC’s chair at a wide-ranging Ottawa press conference, in which the top judge called on the Trudeau government to enact reforms to reduce the persistent lengthy delays and high costs of the federal judicial discipline process. At that point last June — four months after a CJC majority had recommended Justice Girouard’s removal on the basis that “his integrity has been fatally compromised” and he could no longer function as a judge — the justice minister had yet to respond to recommendation, other than to say she would respond, in an unspecified way, “in due course.” Meanwhile, the Abitibi-Rouyn-Noranda-Témiscamingue region had been without one of its two full-time superior court judges for more than five years. Asked for the council’s reaction to the judgment, Sabourin told The Lawyer’s Daily it “would not be helpful” to address the judge’s closing comments. EDITORS’ NOTE: This story by The Lawyer’s Daily Ottawa bureau chief Cristin Schmitz reports comments by Justice Simon Noël about the latest two of at least a dozen stories she has written since 2013 about, or related to, the Girouard judicial discipline proceedings. The accuracy and independence of her reportage has not been challenged in that time. The Lawyer’s Daily stands by its ongoing coverage, which puts the public interest first and, we believe, gives our readership of lawyers, judges and others in the Canadian legal community the most extensive and in-depth coverage available of the multidimensional case, which raises (among other things) issues of: judicial independence; the constitutional order; fairness to judges and to litigants; delay and costly litigation at public expense; and the perceived need, within both the profession and the judiciary, for judicial discipline reform. The Lawyer’s Daily does not share the judge’s interpretations — nor agree with his characterizations — of the two stories dated May 25, 2018, and June 22, 2018, as expressed in comments he made without notice to our publication, which is a non-party, and without giving The Lawyer’s Daily an opportunity to address them.